love the peplum trend! 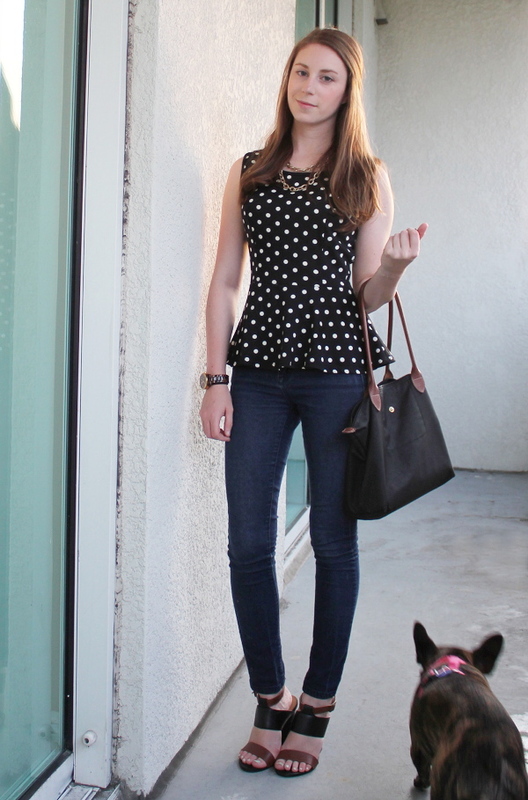 this polka dot top is so cute! you rock it! 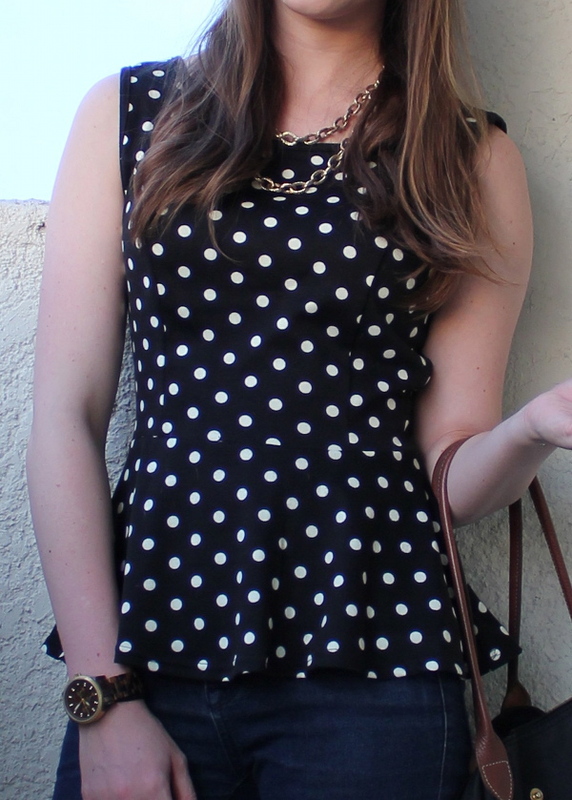 Peplum + Polka dots = perfect! Love the top! And that's awesome that you found it at Forever 21! Love this peplum top! The polka dots and the fit are perfect! Love the shoes too! Love, love, love that peplum top. you look super long and lean in this outfit. lucky duck. Hard to believe this is my first visit to your blog! Sadly, the law loves keeping me away from the blog world--as I'm sure you understand. I love your professional and off-duty looks! Mine vary greatly, too. P.S. A bunch of the younger women (including me!) in my office also carry a black Le Pliage Large Tote! We love that it fits our legal-sized files and all our other paraphernalia while keeping it all protected from the elements. Great minds!